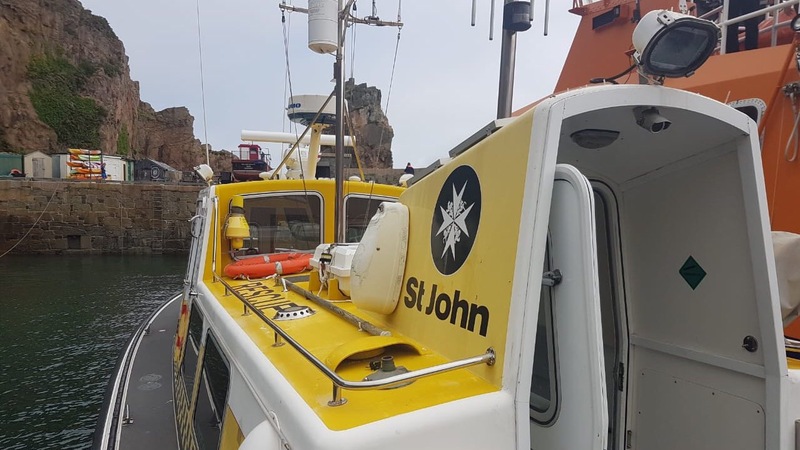 The St John marine ambulance travelled to Sark at the weekend to take part in the annual service of thanksgiving for the sea. 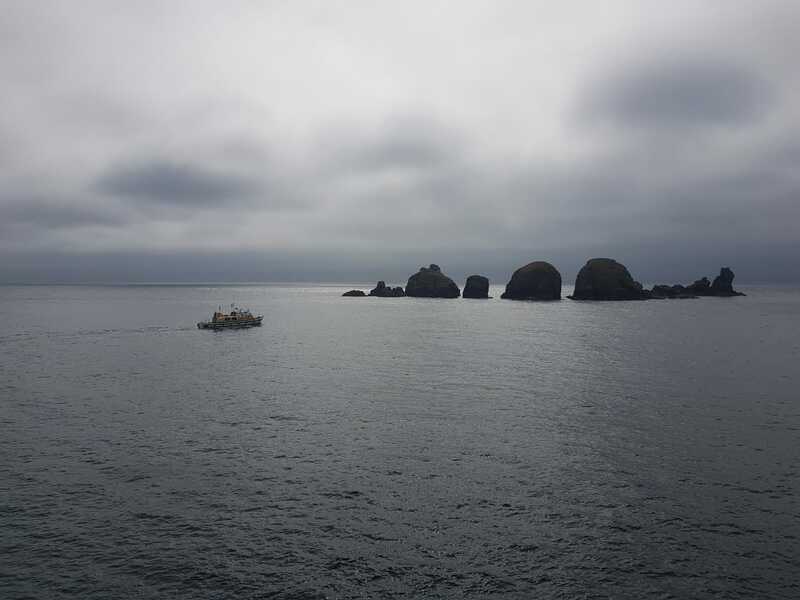 The event was conducted by the Dean of Guernsey, Tim Barker and other local clergy, in the presence of the Lieutenant Governor of Guernsey, Vice Admiral Sir Ian Corder. 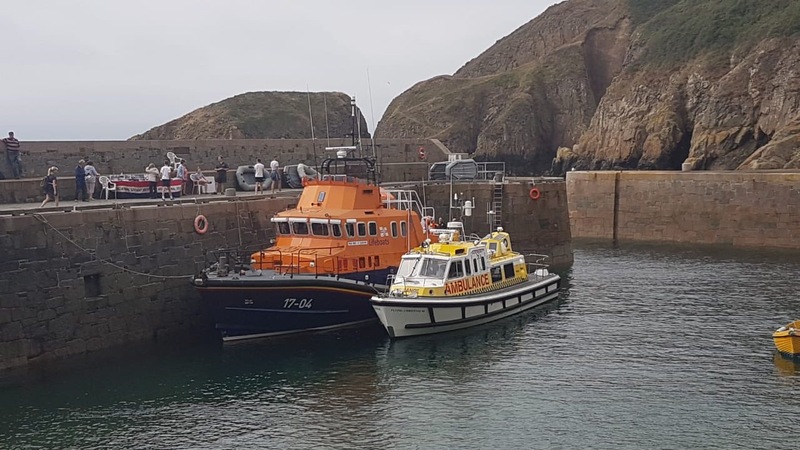 The St Peter Port Lifeboat, the Spirit of Guernsey, also travelled to the special service at Creux Harbour. 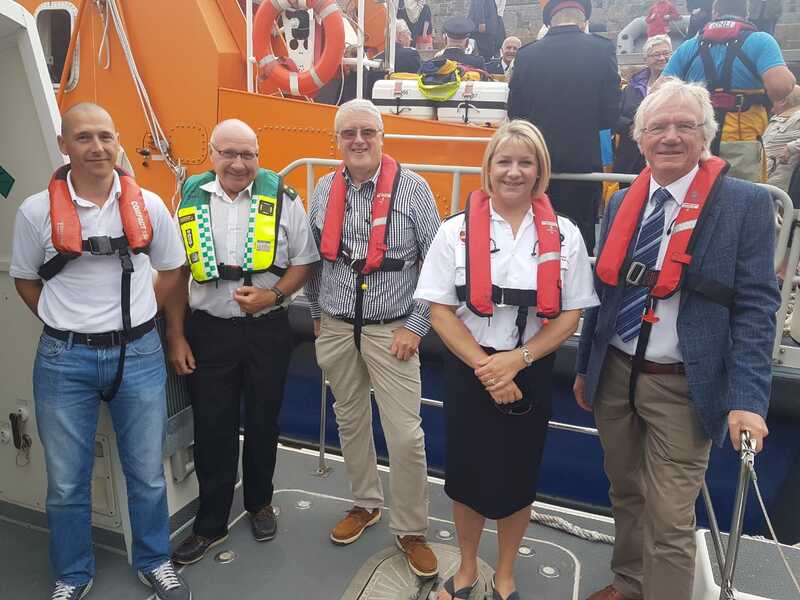 Emergency Ambulance Service Chief Officer Ali Marquis, Senior Officer Dave Welbourne and Chairman of the board Steve Le Page attended the event along with Commandery member Simon Milsted, volunteer skipper Mark Noyon, Station Officer Stuart Malley and Paramedic Shelly Fletcher. Sark is one of the smaller Channel Islands and is seven miles east of Guernsey. The island has a resident doctor and tractor drawn ambulance, but no paramedics and no hospital, so patients needing further treatment, advanced care or transfer to the Emergency Department are cared for by the professional clinicians of the St John Emergency Ambulance Service and the volunteer crew of the Flying Christine.